KC, can you please advise how you derive cash & cash equivalent of 156654? Thanks dlhoh for pointing out the mistakes. yes the year should be 2013 instead of 2011. We approach the discount cash flow analysis in another manner. Let us assume that we intend to invest in Pintaras with a 5 years holding period at the close of its share price on 3/3/14 at RM2.88. We again use the base Free Cash Flow of RM35.2m as before, being the average FCF of the last two financial years, and the same discount rate of 10% for the reasons as explained in the original post. FCF has been growing at compounded annual rate of 17% since 2006. The construction industry remains robust with the LRT and MRT and other ETP projects and most analysts are positive about this industry for some years to come. Hence I assume the FCF of Pintaras grows at 10% for the next 5 years which I think is reasonable. When the 5 years is up, we assume we will sell the share at an expected price of 12 times the FCF. The analysis shows that the present or intrinsic value of the firm is RM611m from its ordinary operations as shown in the table below. 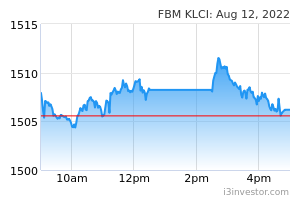 Adding back the cash in bank and in equity investment of RM157m, the total value of the firm is 768m. As Pintaras has no debt, all the future cash flows belong to the equity holder, which works out to be RM4.80 per share with the enlarged 160m shares outstanding. This represents a margin of safety of 40% investing in Pintaras now at RM2.88. Hi KC, is it necessary to add back the equivalent cash? As i see some article do it without adding back the cash or less the debt. Please advice. In Pintaras's case, there is a net working capital (Receivables+inventories-payables) of 70m. So whatever cash or cash equivalent it has is termed an excess cash, cash not needed for the ordinary operations. This cash can be distributed to shareholders, do other investments etc without affecting the ordinary operations. Hence it should be added back. The discount free cash flow analysis I normally do is for the firm, not only the equity holders. So this present value of FCF obtained belong to both the common shareholders, the debt holders, minority interest if any. Hence it should be subtracted out the market value of the debt. Please read the link below regarding my view of handling excess cash. How do you count free cash flow? Is it net cash from operating activities-capital expenditure (ROInvestment)? Just get it from the cash flow statement. In Pintaras case, I probably tweaked it a little to omit some minor items which I consider as non operational. No need to be exact in an artistic endeaviour. may I know how get the below value?any formula for them? how get the, g ,terminal growth rate ? Another assumption. Company's growth rate will eventually drop to a long term rate approximate the growth of GDP, inflation rate, or even stagnant. I normally use 3%. Are you interested to follow my web-based course in investment? I will guide you all the way for various valuation methods, including this one, with actual company results from Bursa. There will be a fee charge though. Hi @kcchongnz, I am interested in your web-based course as well! @kcchongnz, I am also interested in your web based course. What is the “new” intrinsic value of Pintaras? In the discount free cash flow analysis of Pintaras in this post, it was assumed that the FCF will grow at 5% for the next 10 years and subsequently 3% forever, even though it has been growing at a CAGR of 17% for since 2006. The intrinsic value is RM4.72. It appears that this assumption is a little conservative. Many analysts are bullish about the construction industry for the next 5 years. This coming year, Pintaras has already secured RM303 m contracts to be completed in the next one year, as compared to the trailing twelve month revenue of RM184.4m. It does appear that Pintaras is one of the leading foundation contractors, if not the top foundation contractor. So what is the growth for next year, and the next 5 years? 64% (303/184.4-1)? Of course FCF is very difficult, I would say impossible, to grow at 64% for another 5 years. I wouldn’t even assume half of that rate. But let us assume that it grows at a moderate rate of 10% for the next 5 years, 5% the subsequent 5 years, and then 3% forever. Are those assumptions too liberal? And what is the intrinsic value of Pintaras then? With the new assumptions, the present value of all its future cash flows, or the intrinsic value is RM5.60. At the closing price today at RM3.95, the margin of safety investing in Pintaras is a comfortable 42%. Ops. Hehe. Sorry, didn't see your earlier comment. Thought you were using the annual report on 30th June 2013. That's why got a bit confused. Thanks for the clarification. The article is really helpful and informative.